Sao Marcos da Serra - did you know that? Did you know that .... ??????? ......... if you put a sweet potato in a glass of water you will have a nice green plant growing in no time? Women in the village decorate their windows with it. ......... when a Portuguese strokes his earlobe, it means that he likes something very much? ......... everybody in São Marcos da Serra has a nickname by which he or she is called. ......... the river Odelouca, curving through the village, is fed by the Azilheire and the Besteiros? ......... the acorn of a cork oak tree is called eland or lande, and the acorn of a stone oak tree is called a bolota? ......... it happened before that there was no rain for several years? ....... garbage was not collected here some 20 years ago? .........there is a real violin builder living in São Marcos da Serra? You can have a look on his website to admire his work. ........ walls are lime washed to reflect the strong sun in summertime, but the white also is a symbol of cleanliness? ......... the sign @ is not only used in email adresses but also means "arroba", a standard measurement for cork? 1 arroba is the equivalent of 15 kg. Learn more about cork at the page cork in this website. ......... gardening is done here by the phases of the moon? At new moon lunar gravity pulls water up and causes seeds to swell and burst. This factor, coupled with increasing moonlight creates balanced root and leaf growth. This is the time for planting above ground crops that produce their seeds outside the fruit (lettuce, broccoli, cabbage, grain, spinach). In the second quarter there is strong leaf growth, therefore this is the right time to plant annuals that produce above ground, but form seeds inside the fruit (beans, melons, peas, peppers, tomatoes). At full moon the energy is drawing down, creating more moisture in the soil. This is the time to plant root crops (beets, carrots, onions, potatoes). During the fourth quarter you should cultivate, harvest, transplant and prune. Harvesting cork starts as of the first full moon of May. ........ some people order a "cha de cebola" (onion tea)? This has nothing to do with onions, because it is just hot water, brandy (e.g. Constantino) and sugar. So it is an alcoholic drink, disguised as a cup of tea. ........ the hills of S. Marcos da Serra were the refuge for the famous Remexido? This was the nickname of José Joaquim de Sousa Reis (Lagoa, Estômbar, 19 October 1796 – Faro, 2 August 1838), who was a notorious rebel in the Algarve. 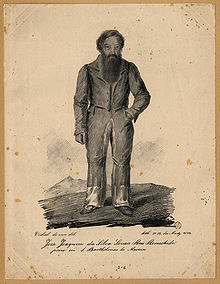 He died in front of a firing squad in Faro on 2 August 1838. He served as a supporter of Miguel of Portugal during the Liberal Wars. After the defeat of Miguel in 1834, Remexido found himself savagely persecuted, and took refuge in the hills of S. Marcos da Serra, where, supported by the local people and resorting to guerilla tactics, he systematically thrashed the government forces. In order to discover his whereabouts, the government forces publicly interrogated his wife, and when she would not betray him, killed his 14-year old son, two injustices which made him resolve never to surrender and to punish those who had wronged him. He was, however, captured and brought for judgement before the Council of War. Even in his last days he was the victim of injustice: although Queen Maria II of Portugal granted him a pardon, for political and personal reasons, the Council of War nevertheless sent him to his death. 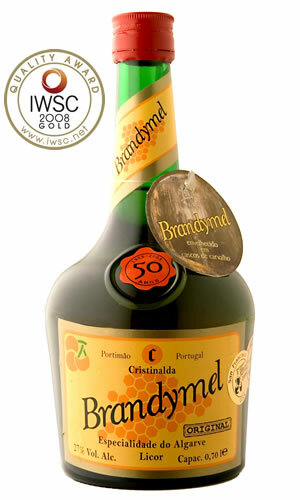 ..........Brandymel is a special liqueur from the Algarve? It was created in 1955 by Oliveiros Christina and consists of Medronho, local honey and secret herbs. When you add lime and crushed ice, you can drink it as a cocktail "Caipimel". Brandymel won several golden medals in international competitions. .............Hunting season is from mid August to February? Generally the caçadores (hunters) are active on weekends and public holidays. For more information on hunting have a look at the page "a way of life". ........ the oldest café in S. Marcos da Serra is called Café Abelha? 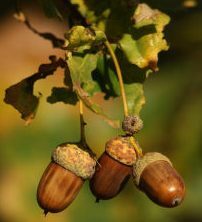 ....... the 11th of November is the day of the saint S. Martinho and that on this day chestnuts are eaten traditionally? ....... you can find some nice traditional recipes on the "traditional food" page of this site? ........in 1950 there were 4179 inhabitants registered in S. Marcos da Serra? Now there are only some 1366 left (2011). ........a lot of people from S. Marcos moved abroad after the fifties, most of them to France. ........you can email us at info@saomarcosdaserra.com for all your comments and tips for this site? ........there are many nationalities living in the freguesia of S. Marcos da Serra? You can meet people from Great Britain, Norway, Germany, Sweden, The Netherlands, Belgium, South Africa and of course from Portugal right here.